Keith is the longest serving staff member at David Murphy Racing and is David's right hand man. Keith joined David not long after he commenced training nine years ago and has held the foreman's role for the past five years. The Redcliffe-born horseman is a valuable member of the team and helps out at the track in the mornings as well as drives the float when required and helps with the day to day organisation of the stables. He can often be seen at the races strapping or saddling if there are horses racing at more than one venue. 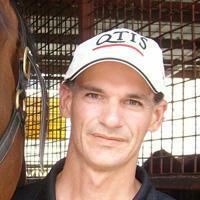 Keith can't split Mossriver and Deacon when it comes to naming a stable favourite and has a soft spot for both. On his days off Keith likes to spend time down the Coast with his friends and family, he also enjoys a bet at the casino.